Trouble rears its ugly head in Tucson when a new motorcycle club, The Slaughter, rides into town looking to take over the meth trade-even if it means taking out the Sons of Anarchy. With loyalties tested and lives on the line, double-crosses abound, and Jax will do what needs to be done to keep it all together and protect SAMTAZ and SAMCRO. 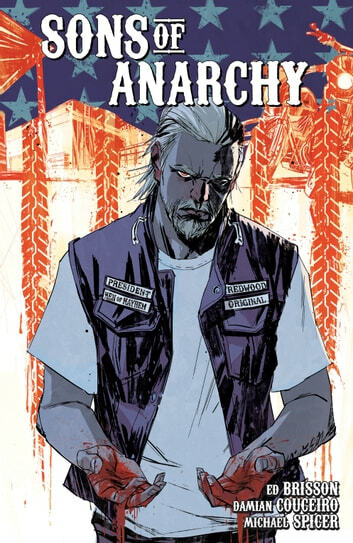 Written by Ed Brisson (Sheltered, Cluster) and illustrated by Damian Couceiro (Planet of the Apes, Cluster), Sons of Anarchy Vol. 3 takes Kurt Sutter's beloved television series and ties Seasons 4 and 5 together with an all-new, original story.